Paul has been a Green Bay Packers fan all of his life. He remembers seeing Bart Starr, Paul Hornung, and Jimmie Taylor play in the 1960s. After the Green Bay Packers won Super Bowl XLV, many fans were ready to anoint Aaron Rodgers as the greatest Green Bay Packers quarterback of all time. But is Aaron Rodgers really the greatest? Since the 1950s when I started following the Packers, Green Bay has had only a few good signal callers. In this article, I rank the five greatest Packers quarterbacks from the year 1960. My rankings are based on how well the quarterbacks led their teams in winning championships. My selection for number one was very close between Bart Starr and Brett Favre. Although Favre put up a lot more impressive stats than Starr, old number 15 was the player most responsible on the field for orchestrating the Green Bay Packers dominance of the 1960s. Drafted out of the University of Alabama, Bart Starr played with Green Bay from 1956 through the 1971 season. Starr became starting quarterback during Vince Lombardi's first year as head coach in 1959. Beginning in 1960, Bart Starr quarterbacked the Packers to playoff appearances in 1960-1962 and 1965-1967 during Lombardi's years as head coach. Green Bay's playoff record during this period was 9-1. The Packers won five NFC championships and the the first two Super Bowls played in 1967 and 1968. As to individual performances, Starr was a four time Pro-bowl selection and NFL MVP in 1966. His overall passing rating was less than 100 percent. What made Bart Starr so great was that he called all of the plays on the field unlike Aaron Rodgers who has his plays called by Coach McCarthy. Although Starr didn't have the talented receivers that Favre had and Rodgers has, he had two of the greatest running backs in Jim Taylor and Paul Hornung - old Thunder and Lightning. Starr also knew very well how to use his receivers to compliment the great running game. Brett Favre would have to rank as the second greatest Packer quarterback. Obtained in a trade with the Atlanta Falcons, Favre played with Green Bay during the 1992-2007 seasons. After Packers quarterback Don Majkowski was injured in the fourth game of the 1992 season, Favre took over as starting quarterback and went on to start in 297 consecutive games, a league record. Over his career, Brett Favre led the Packers to seven divisional championships during the years 1995-1997, 2002-2004, and in 2007. He quarterbacked Green Bay in Super Bowls XXXI and XXXII, winning Super Bowl XXXI. As to individual performances, Favre was NFL MVP three times 1995-1997. 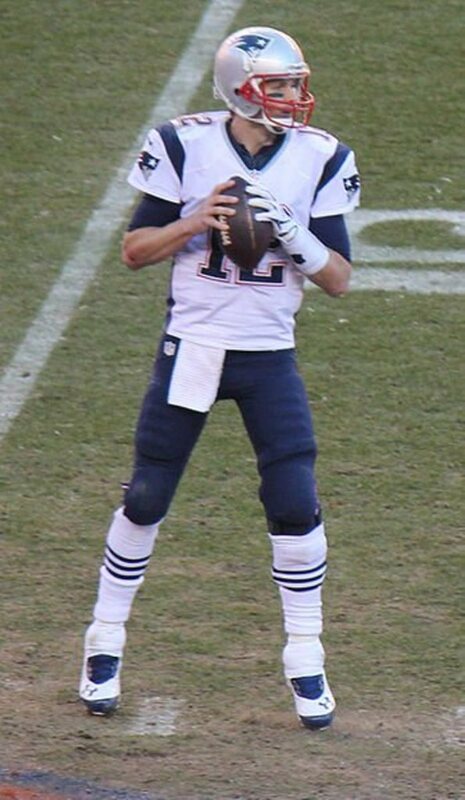 He is the only quarterback to throw for more than 70,000 yards with over 500 touchdown passes and over 300 interceptions. Known as the Gunslinger, Brett Favre was a very exciting player to watch. Not being afraid to throw into coverage, Favre generated so many come from behind victories for the Packers. He was a physical player, too, not being afraid to block for an end around play or to bump heads with defensive linemen like Warren Sapp. I presently rank Aaron Rodgers as the third best all-time Packers quarterback. Rodgers was drafted out of the University of California, and spent his first three years backing up starting quarterback, Brett Favre. Following Favre's forced retirement from Green Bay in 2008, Aaron Rodgers took over as starting quarterback. During Rodgers eight years as starting quarterback, Green Bay has made the playoffs seven times during the period 2009-2015. The pinnacle of Aaron Rodgers's success came in the 2010 season when the the Packers won the NFC championship and defeated the Pittsburg Steelers in Super Bowl XLV. Rodgers was chosen as Super Bowl MVP. For individual accomplishments, Aaron Rodgers has been a five time Pro-bowl player. In 2011 he was selected NFL MVP and compiled a quarterback rating of 122.5. Rodgers was also selected as NFL MVP for his play in the 2014 season. Number four on my greatest Packers quarterback list is Lynn Dickey. Dickey played with Green Bay from 1976 through the 1985 season. In 1982 he led the Packers to the playoffs in which they beat the St. Louis Cardinals but lost to the Dallas Cowboys. As to individual stats, Dickey was a prolific passer and a one time all-pro selection in 1983, second only to Joe Thiesmann of the Washington Redskins. In 1981 Dickey had the highest completion percentage of 90.48 in one game, and finished his career with a quarterback rating of 70.9. How I will remember Dickey leading the Packers to a 48-47 victory over the Washington Redskins in a Monday night football game in 1983. James Lofton was his favorite target then. Rounding out the top five is Don "Majik" Majkowski. Drafted out of the University of Virginia, Majkowski played with the Packers from 1987 through 1992. 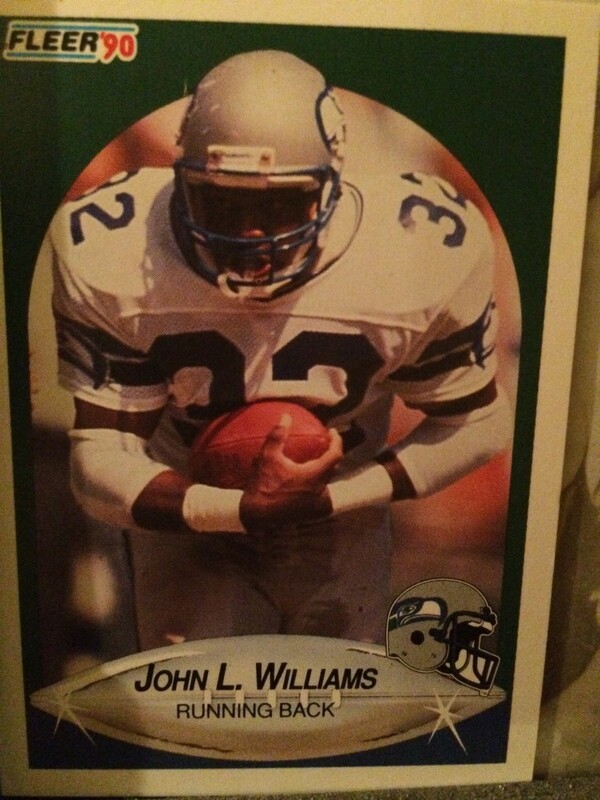 Although he never led the Pack to the playoffs, he had his best year in 1989 when Green Bay finished 10-6. That year he made the Pro Bowl by leading the NFL with 4,318 yards in passing. He completed 353 out of 599 passes for 27 touchdowns. Majkowski was known as "Majik" because he led the Packers to many come from behind victories in 1989. All of the stats in this hub are taken from Wikipedia. Other than Majkowski, Dickey, Rodgers, Favre, and Starr, Green Bay has not any quarterbacks of note in the past 60 years. Although Bart Starr and Brett Favre are very close in overall ratings, I pick Starr as the greatest Green Bay Packer quarterback, because he quarterbacked Green Bay to more playoff victories and more Super Bowl wins. Who is the greatest Green Bay Packers quarterback in the past 60 years? Cast your vote for Who is the greatest Green Bay Packers quarterback? I agree entirely with you and no one can doubt that Bart Starr was the best NFL quarterback during the 1960s considering the NFL championships and two Super Bowls that the Packers won. Bart Starr and the Packers won 5 NFL Championships, not NFC Championships, in addition to 2 Super bowl Championship games. The 1960s NFL Championship Game was the equivalent of today's Super Bowl. Thank you once again for reading, commenting on, and pinning this hub to your 'Sports' board on Pinterest. I also appreciate you sharing it with your followers. Thank you also for your praise of my hubs. Now, if only the Packers could find a decent backup quarterback. All of your hubs are always so well written and informative. I'm going to pin this one to your 'Sports' board on my Pinterest account. Yes, it is mainly covered with articles you have written. There may be one by somebody else, but that's all . . . ;) Vote up again, and awesome too, and will also share this article again with my followers. Thanks for reading and commenting on this hub. Brett Favre by all means was more colorful and fun to watch than Bart Starr. He, Mike Holmgren, and others resurrected the Packers in the 90s when they really could have slid into oblivion. This is a good Hub and good information. I would have the give my vote to Brett Favre. His career longevity and all time stats are most impressive. So many times, athletes are judged on only winning their championships. Dan Marino was an all time great but never one a Super Bowl. Bart Starr was a great leader from a legendary time in Packers and NFL history for sure. Aaron Rodgers may well surpass both of those guys before his career is over. Thank you very much for your comments and also for following me. I was a great fan of Brett Favre and really enjoyed seeing him play. He took too many chances, though, which hurt him in big games. If the Packers had beaten Denver in the Super Bowl, and Favre had led the Packers to beat the Giants in January 2008 and win a Super Bowl, I would have voted for him as the Packers greatest quarterback. In his career with the Packers, Bart Starr won more big games than Favre ever did. Brett Favre was. Despite his shortcomings he made football in Green Bay fun for almost a decade. Aaron Rodgers might supplant him someday, but it remains to be seen. Thank you very much for reading and commenting on my favorite pro football team in America. I'm happy you liked it and appreciate you sharing once again. Very interesting information though I have not followed the NFL, I have heard of Super Bowl. Interesting analysis. Voted up and interesting and shared and pinned for lovers of the game. Thank you so much for sharing this hub again. After the Packers have the draft at the end of this week, I plan on writing another hub about the Packers. I think they're having their first round of "mock draft and chat" today. Just thought I'd share this hub again since Sunday is often football day for a lot of people. I'm so happy to know you are a huge Packers fan and enjoyed this hub. Yes, I remember Desmond Howard's kickoff return in Superbown 31, too. Rodgers is more precise than Favre ever was. Favre, however, was much more of a colorful player than Rodgers is now. Thanks for voting this hub up. I'm just a huge packers fan in general. One of my favorite plays was Desmond Howard's 99 yard kickoff return at Super Bowl 31. I was yelling at the screen and cheering him on! I loved Favre but I really prefer Aaron Rodgers' precision! Voting this up, great hub on a team I love! I'm happy to see that you are a Packers fan. I've always been a Packers fan even when they had their bad teams before Lomabardi and before Holmgren and Brett Favre came along in 1992. Thanks for sharing this hub. I also appreciate you having your friend put it on her FB feed. 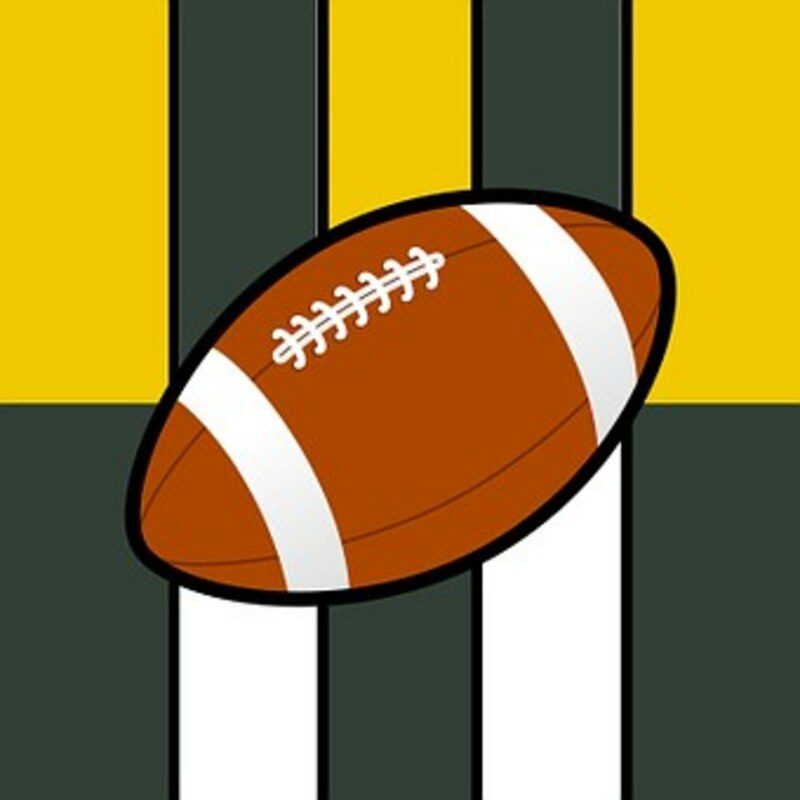 A great hub for football enthusiasts and especially Green Bay Packer fans. My whole family (sibs and their offspring) are glued to the TV during football season and of course they are GB Packer fans. Voted this article up, interesting, and will share with my followers. Also persuaded a friend to put this on her FB feed since I don't yet have an acct, myself. Thank you very much for reading and commenting on this hub! I was still a fan of Brett Favre after he left the Packers in 2008. I appreciate you sharing this hub and showing it to your husband. I will have to show this to my husband. We were big fans of Brett Favre now we're big fans of Aron Rogders and the Packers. Voted up and shared. Thank you Paul for explaining that to me! I really appreciate it! I can see that the quaterback plays a very important role for his team! Thanks for stopping by and commenting on this hub. Yes, Rodgers is one of the best QB in football now. He's not as exciting and colorful as Brett Favre, but if you can give Rodgers a good running back to take heat away from the pass rush, Aarom Rodgers can definitely develop into the greatest Packers quarterback. Thanks very much for reading this hub and your very insightful comments. Yes, I agree that Brett Favre was the most exciting Packers quarterback, because he played the game with his heart and would do anything to win. If the Packers had won that Super Bowl game agains the Broncos, I would have given my vote to Favre. And, yes, if Rodgers can win two more Superbowls, he will be the best. Thanks for reading and I appreciate your comments. Yes, right now Bart Starr is the best Packers quarterback. If the Packers can win a lot more NFC championships and at least two more Superbowls with A-Rod, then I'll say Rodgers is the best quarterback of all-time. Thank you very much for reading and commenting on this hub. The quarterback is the most important player on a football team, because he gets the ball on every play and must decide how the team is going to advance the ball by running or passing. He is literally a field general. I appreciate your kind words. Aaron Rogers is the best QB in football now. Ten years from now Rogers will be known as the best quarterback in Packers history. For now, I agree with you that Bart Starr is the best Packers quarterback. Bart Starr was the leader of the Packers dynasty of the 60's, and even though he didn't light up the stat books by far, he knew how to win and survive in Lombardi's harsh demanding environment. Favre however holds almost every record for a quarterback. Yes he played in an era where throwing the ball was much more common, but he played the game with such an excitement, and delivered every sunday. He is the best Packers quarterback in Packers history, but by the end of Rogers' career, he will be the best. It has to be Bart Starr. Starr didn't have much athletic ability. He had just an adequate arm. All he knew how to do is win. He gets my vote as the best. I am so sorry that I don't understand that game and for sure I don't know what a quaterback does... but I find that you made a great analysis of the performance of each of these 5 players to finally be able to pick your favorite one!